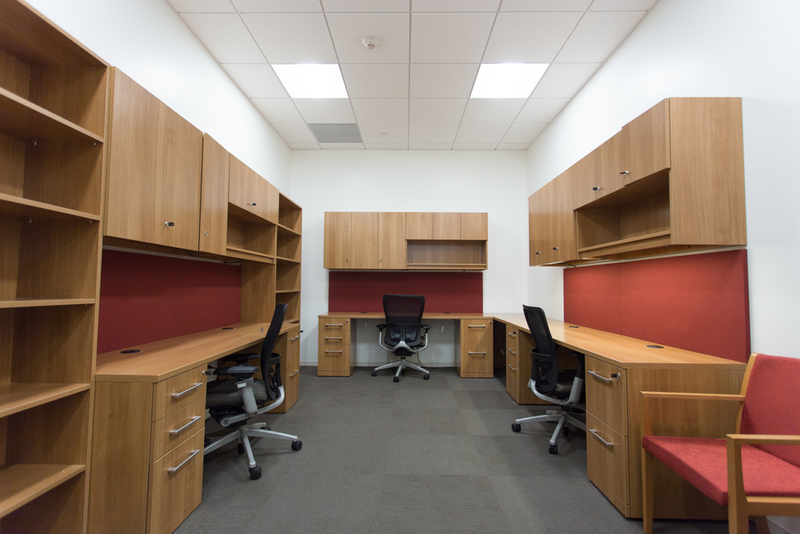 The University of Southern California awarded this tenant improvement project to TSK due to our past client success providing well-managed, solution oriented, quality design services for high profile and discerning clientele. TSK worked diligently with the Provost Office, College of Dornsife, and Price College to develop a combined surge space office plan to accommodate their expanding research programs. 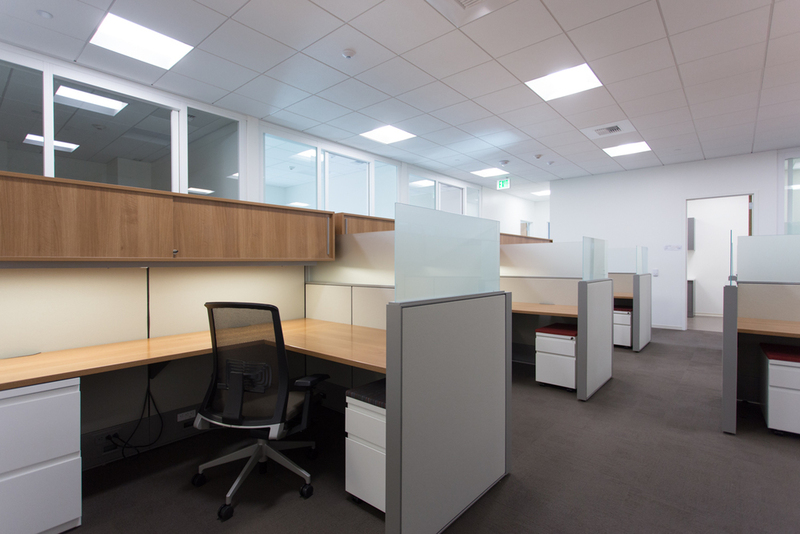 Covering over 9,000 square feet in an existing and occupied multi-story building, private offices were developed with attention to acoustical privacy considerations, integrated with open office areas, and modern A/V technology appointed conference rooms. Due to the medical content of research performed in the new space, controlled access to the floor was designed to retrofit existing elevators, stairwell doors, and office suite entry doors. The project was designed and constructed on a tight schedule with particular focus on construction occurring during the summer break between college class semesters. The high quality of construction drawings was noted by the contractor as contributing in part to their success in completing the project on time with no change orders and only a handful of Requests for Information. Weekly meetings managed by TSK with the contractor, owner's and user group representatives facilitated an efficient decision and response process. Design changes requested by the owner during construction were developed quickly by the design team and implemented by the contractor due to strong communication amongst the project team.